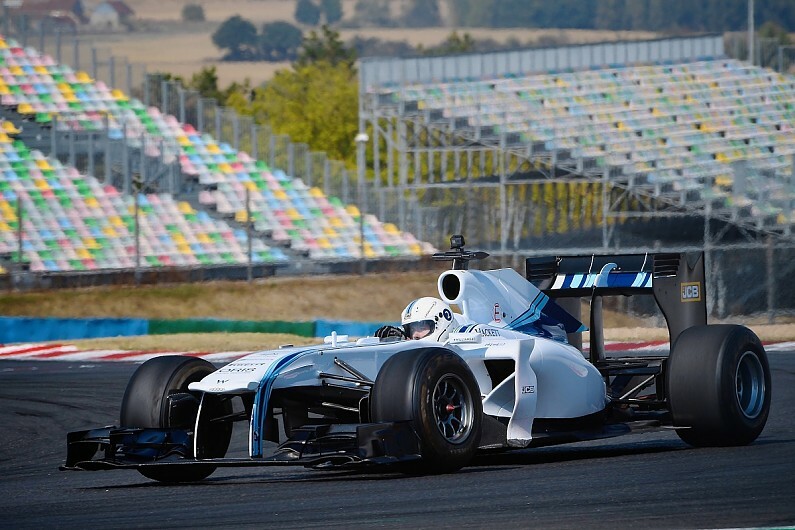 Two mobile phone racing gamers have successfully conducted two-days of testing real-life racing cars including a Williams Formula 1 car. Henrik Drue and Saidur Ali beat millions of gamers on mobile racing game Gear.Club to qualify for the opportunity. Millennial Esports, the company behind Esports innovations such as McLaren's World's Fastest Gamer series, ran the competition in partnership with its in-house gaming studio Eden Games. "It's great that our industry is suddenly interested in gaming and esports," Millennial CMO Darren Cox told Autosport. "I have been delivering gaming projects for over 10 years and it is exactly three years ago today that a GT Academy graduate [Wolfgang Riep] helped Nissan win the Blancpain Pro series. "As a group we are still pushing the link between gaming and motorsport and despite grand statements from others - we are still leading the way. "This project was more about letting gamers experience the buzz of motorsport rather than a pathway to a career - but the guys stunned everyone at Magny Cours with their approach and pace. We weren't surprised of course. "We can't just focus on the elite gamers - we have to include the casual gamers as well." Danish surgeon Drue was a finalist in McLaren's WFG last year, narrowly missing out on a place in the final six despite qualifying via a mobile game. "From World's Fastest Gamer we knew that as a surgeon Henrik [Drue] is very methodical in his approach and brought the same discipline to the F1 drive," Millennial Esports head of motorsport operations Jof Cox said. "But even after having been involved in Esports racing for over six years with GT Academy, I could not have been more impressed with Saidur [Ali]. "He was flat out and on the rev limiter on lap one. His terminal speed was over 180mph. "With more time and coaching this guy could be very competitive in the real world." Millennial Esports will reveal its latest project with Gear.Club within the coming weeks, involving what it has described as 'some big-name partners'.